Vega is Ukraine's telecommunications operator and one of the leading companies in the telecoms market. The company offers comprehensive solutions of broadband Internet access, telephony services, data transmission and data storage on remote servers inside and outside Ukraine. Vega continuously expands its range of services, using innovative solutions that can help gain Internet-based benefits: IP-telephony, IP PBX (virtual telephone exchange), interactive TV, data storage services, etc. Also, the company develops unique tailored telecom solutions for its clients. For example, these include installation of an indoor broadcast system in Kyiv Central Mall (TSUM), replacement of telecom equipment at Ilyich Iron and Steel Works of Mariupol and construction of leased lines. With the development and modernisation of in-house networks, the company can offers high communication quality and a 1GB/s Internet connection to its clients. Vega offers favourable cooperation terms and conditions to private and public businesses (from small companies to large Ukrainian corporations), as well as to national and international telecom operators. Farlep-Invest is the managing company of Vega Telecommunication Group. 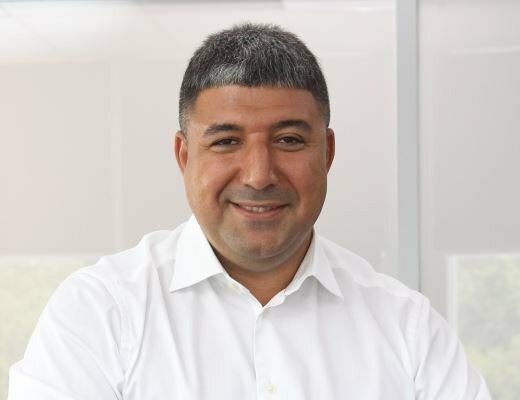 Murat Cinar is the CEO of Vega. The key goal of our telecommunications group is to provide high-quality communications services to Ukrainians. Today the company is going through an important stage of deep transformation to improve business efficiency and profitability. On the one hand, we are developing our business through organic growth and M&A of telecom providers. On the other hand, the operator is focused on developing interesting offers to increase the value of Vega services for the clients as well as on interacting with the users and creating long-term mutually beneficial relations with the subscribers.